If you’re a small business with BIG goals, Small Business Saturday is a day you won’t want to miss. It’s a day founded by American Express to celebrate and support small businesses and all they do for their communities. You might have noticed it’s becoming an essential part of the holiday shopping season for entrepreneurs across the country. Keep reading to find out how you can get your store and even your whole neighborhood ready for a day of shopping small. Plan to host a shop small event at your retail location to bring everyone together! Come up with a special deal for your customers – like 50 percent off if you show a receipt from another participating shop in the area. Collaborating with other stores will only increase your sales and allow you to make valuable connections, too. Create a Facebook event and make sure to mention all that you’re offering customers. Give out Shop Small swag. Tote bags, posters, balloons, and so much more are available for any small business to enjoy. 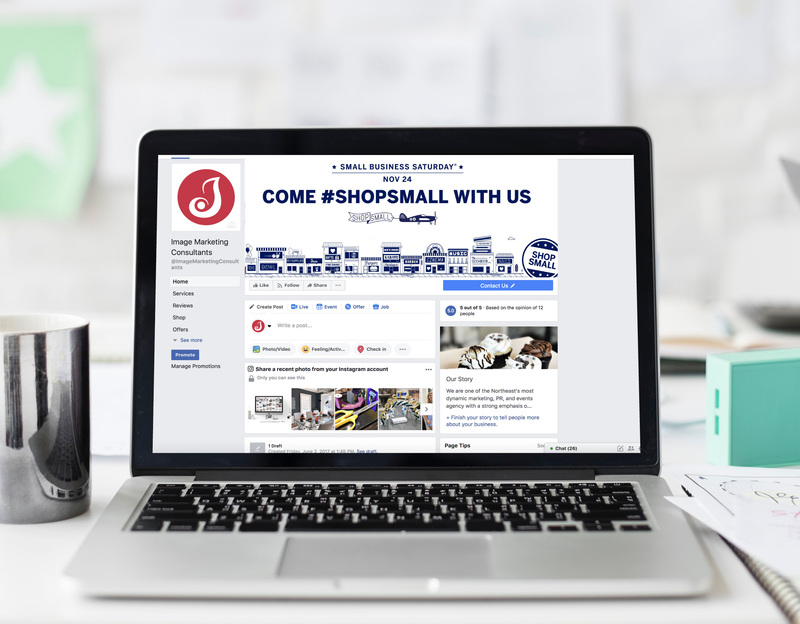 Grab some shop small merchandise from your local “neighborhood champions.” These are essentially ambassadors in your community ready to spread the word about all things Small Business Saturday. You can find the champions in your area here. Make sure to promote your business on social media leading up to the day! Let everyone know that they should #ShopSmall during their holiday shopping this year. Create your own marketing materials using the Shop Small Studio for free. It’s an amazing tool where you’ll be able to design custom graphics with Shop Small branding. Work on freshening up your checkout area. It’s important for customers to feel that they have a clear path to where they need to go. It sounds simple, but can be absolutely essential for an influx of shoppers. Put out some type of greenery for an organic and inviting vibe. It also helps to light a large candle with the warm holiday scent of your choice. You won’t regret making this space comfortable for your new clients! If you’re shopping on Saturday, you’ll want to use the American Express Shop Small Map to find all the participating businesses near you. Join organizations across the country in supporting your local small business! Where will you be shopping this year? Interested in promoting your small business after Small Business Saturday? Contact Image Marketing Consultants to get the results you want this year and beyond.